As chief executive officer of Zillow Group, Spencer Rascoff oversees the company’s portfolio of real estate and home-related brands, including consumer brands Zillow, Trulia, StreetEasy, HotPads and Naked Apartments. Spencer joined Zillow in 2005 as one of its first hires, and served various roles including chief operating officer, until his appointment to CEO in 2010. 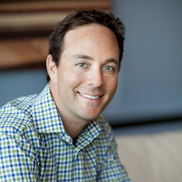 Since becoming CEO, Spencer has led Zillow through its 2011 IPO and 12 acquisitions. In 2015, Spencer co-wrote and published his first book, the New York Times’ Best Seller “Zillow Talk: Rewriting the Rules of Real Estate.” Spencer is also the host of “Office Hours,” a monthly podcast featuring candid conversations between prominent executives on leadership and management topics. Fortune and Forbes both listed Spencer as one of America’s most powerful CEOs under 40 and he is a recipient of Ernst and Young’s National Entrepreneur of the Year Award. Spencer has also been awarded Glassdoor’s Highest Rated CEO recognition for 2016.